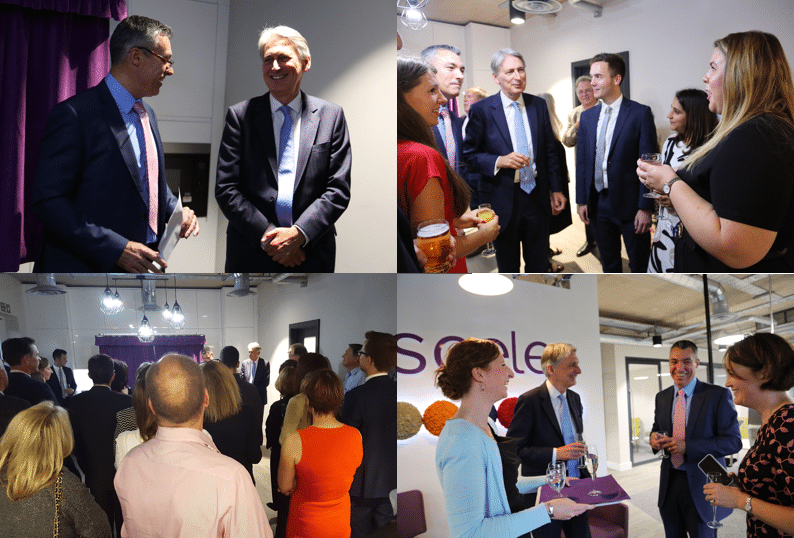 We were delighted to welcome the Rt Hon Philip Hammond, Chancellor of the Exchequer and Conservative Member of Parliament for Runnymede and Weybridge to perform the opening ceremony of Isosceles’ new high tech HQ One, High Street, Egham. 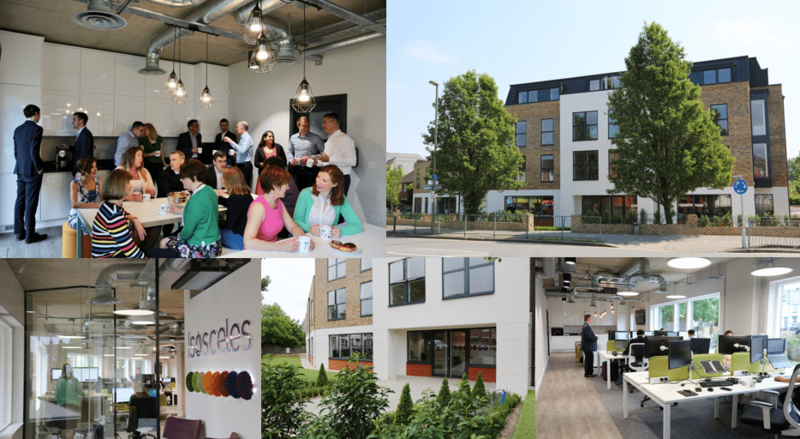 One, High Street (built on the site of The Old Police Station) provides Isosceles’ staff a state-of-the-art workspace with a flexible layout designed to facilitate collaborative working. 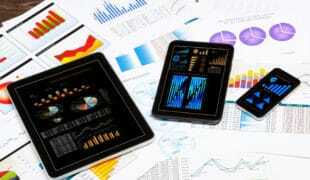 The use of technology will further enable their ability to work jointly with colleagues in their Sheffield and Cambridge offices and with client teams located throughout the world. The new building uses modern design and materials giving an energy efficient, sustainable office, significantly reducing carbon emissions. 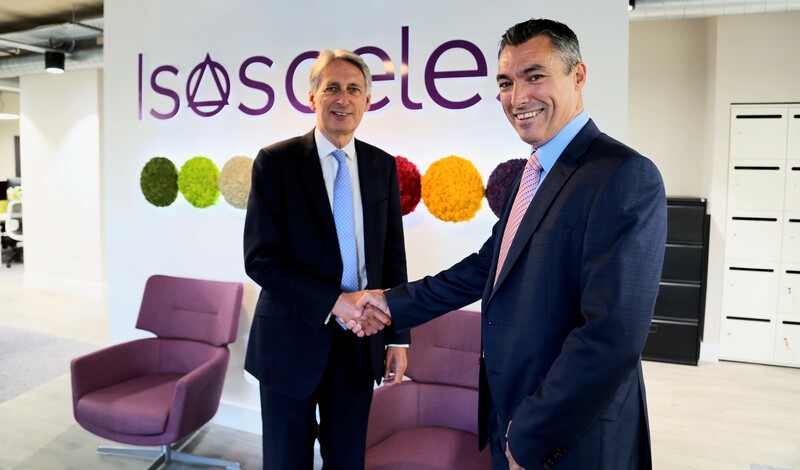 It provides the foundation stone for the next stage of Isosceles’ growth and will further support businesses coming to London and the UK. The building and the addition of green landscaping to the front have enhanced the street scene and forms part of the ongoing development strategy for the town of Egham. It signposts a modern and ambitious future for the town and those who live and work here utilising its great transport links with the M25, M3, Heathrow and London Waterloo.